Communing with nature is the best antidote to stress and spending time outdoors helps to rediscover ourselves. 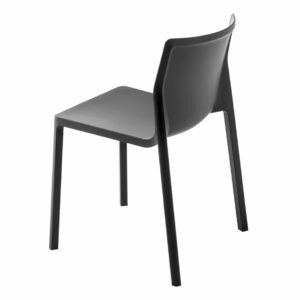 Allow us, at Fabiia, to accompany you in your quest. 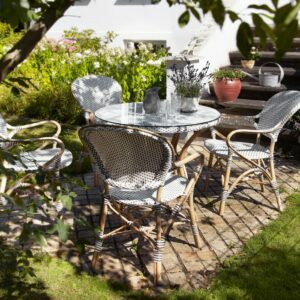 Our range of outdoor furniture including wooden outdoor furniture and metal garden furniture will only help enhance your experience. 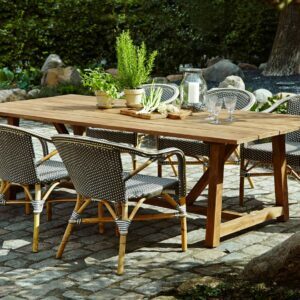 If you have been browsing outdoor furniture stores, look no further! 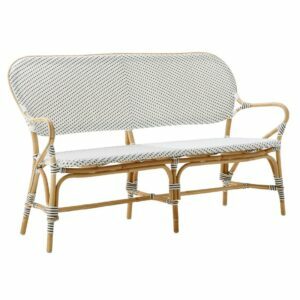 That outdoor bench you wanted is just with us, awaiting you arrival! 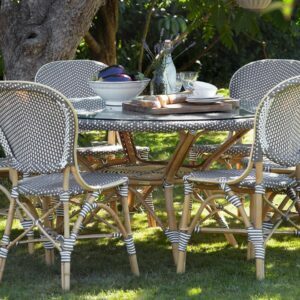 The mere mention of outdoor furniture invokes an image of freshness. 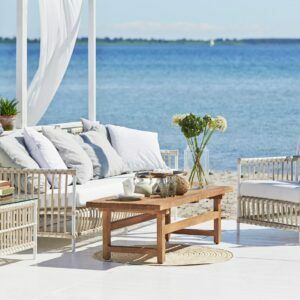 Our range of wooden outdoor furniture is indeed akin to a breath of fresh air. 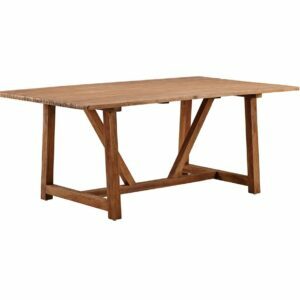 Take a look at the Colonial Teak table or the Lucas teak coffee table. Aren’t you bowled over by their rustic charm?! 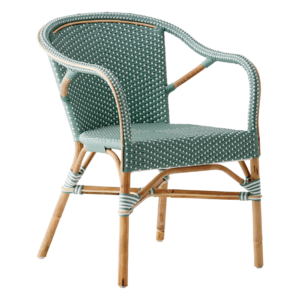 Wooden outdoor furniture from Fabiia comes with dual assurance of quality and craftsmanship. 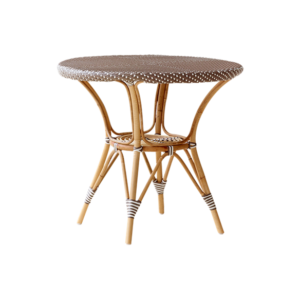 The Roger stool is delightful and decidedly a conversation piece! 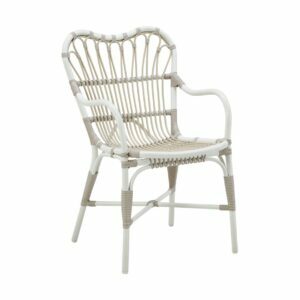 It can be quite a hassle figuring out which of the outdoor furniture stores will cater to your needs. 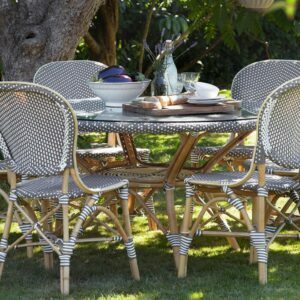 Fabiia has all the outdoor furniture you envisioned and some more! 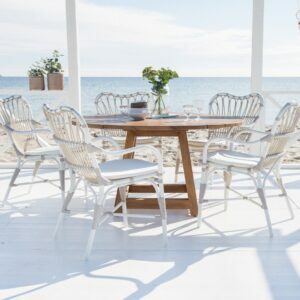 Among our collection of wooden outdoor furniture, you are sure to find just what you were looking for .The George Teak table has the aura of a period piece and rustic in appeal. 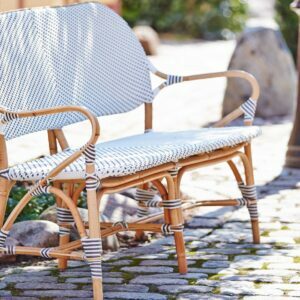 Remember the outdoor bench you need, to relax with an afternoon read? It’s here with us! 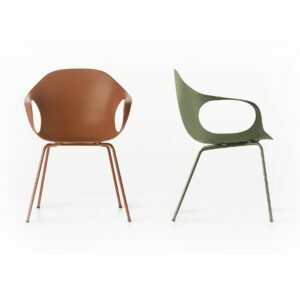 The outdoors refines our senses and outdoor furniture needs to be in sync with our sensibilities. 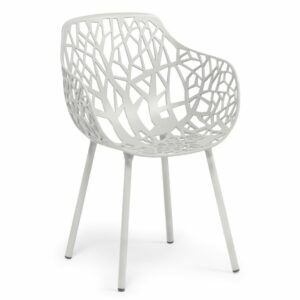 At Fabiia, our constant endeavour is to attune ourselves with your needs and our collection, such as outdoor furniture is a reflection of that. 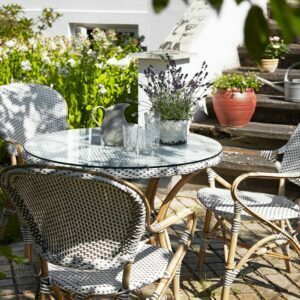 Among outdoor furniture stores, we value our pride of place and bring a fresh perspective. And speaking of freshness, sprawling backyards are a veritable epitome! 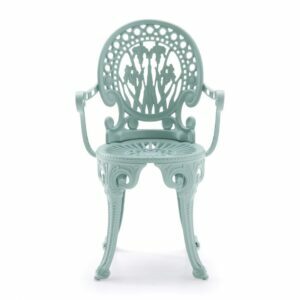 Adding backyard furniture to your verdant surroundings has just become easier with our metal garden furniture to choose from! 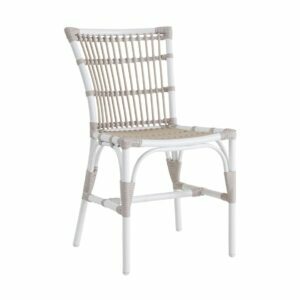 When looking at outdoor furniture stores such as ours, you’ll be fascinated by our sheer variety! 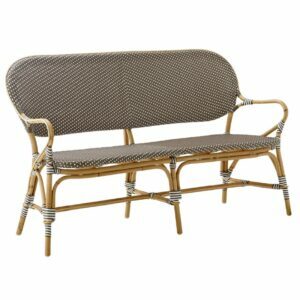 Be it an outdoor bench or an outdoor patio set, our range of metal garden furniture will allure you at first sight. 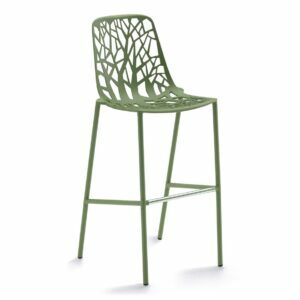 The Forest Armchair, for instance, with its bare branched design never fails to amaze and, hold your breath, comes in eight arresting colours! 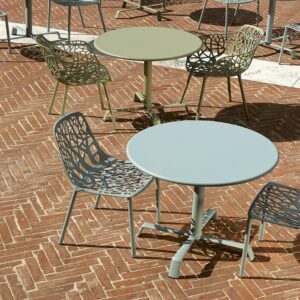 Outdoor furniture never was so exciting with our array of sofas, bar stools, tables and lounge chairs. 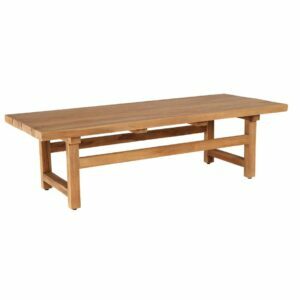 Looking for an outdoor bench? 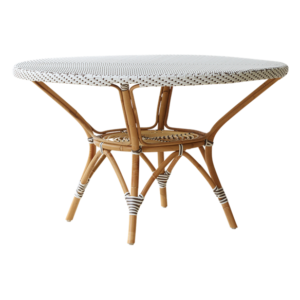 Try our Oasi bench and do have the Aikana Side Table to rest your hot cuppa or that cool summer drink! Truly a must have for all seasons! 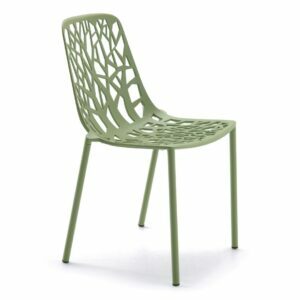 Outdoor furniture should blend in with nature while standing out distinctively in appeal. 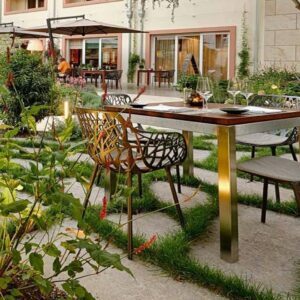 Metal garden furniture from Fabiia enhances that harmony. 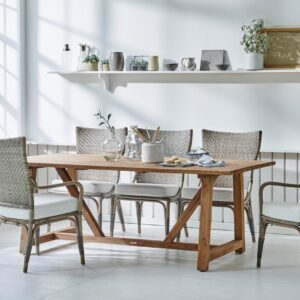 Have a look at our rattan furniture, by itself, a marvellous blend of natural splendour and human ingenuity. 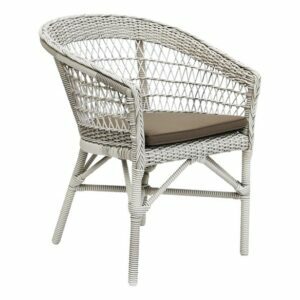 Alu-rattan furniture takes it a notch further in terms of craftsmanship and cutting edge designs. 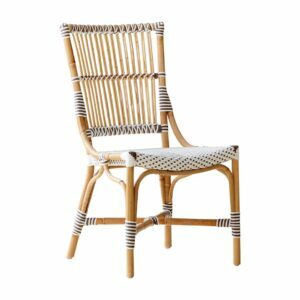 Bring home our chairs and sofas in various styles, from contemporary to modern, and be the toast of town! Or, how about snuggling up in the Hanging Egg chair and experiencing nature in companionable silence?! 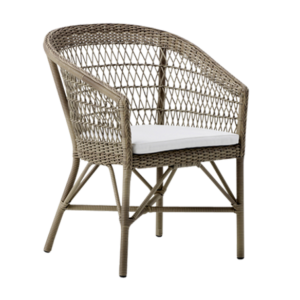 Among outdoor furniture stores Fabiia prides itself in quality and assured customer service. 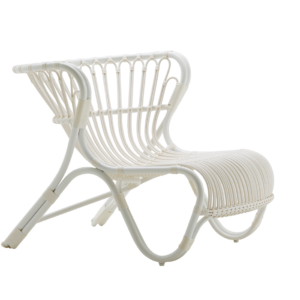 Allow our wooden outdoor furniture to beautifully adorn your lawns. 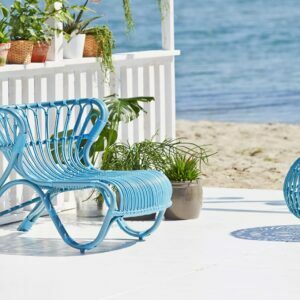 And our metal garden furniture will only heighten your connection with nature! So, taking home that outdoor bench yet? !